Father’s Day is this weekend, June 17. 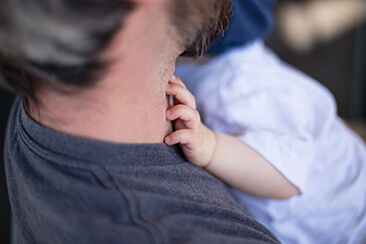 The tradition to celebrate fatherhood began in 1966, when President Lyndon Johnson officially added it to the country’s calendar. Enjoy the great outdoors with Grainger camping equipment. And Farm Bureau members can save up to 30 percent on Grainger tents, cots and sleeping bags. Shipping is free so redeem your discount for dad. Enjoy a family trip to one of Florida’s theme parks, catch a college baseball game or stay indoors while watching your favorite movie. Florida Farm Bureau members can save on these activities and more with Tickets at Work. How about new work boots or apparel for dad? FFB members receive special discounts on popular brands such as Wolverine, Justin, Durango and more from workboots.com. For the traveling dad, be sure he swipes his FB membership card to save 3-cents at the Marathon gas pump at participating CentsOFF Marathon™ locations. These are just a few ideas to spend time with dad this Father’s Day weekend. To take advantage of these and many more member benefits, visit https://www.floridafarmbureau.org/benefits/save/.